Nestled at the end of a quiet cul-de-sac sits this charming colonial. 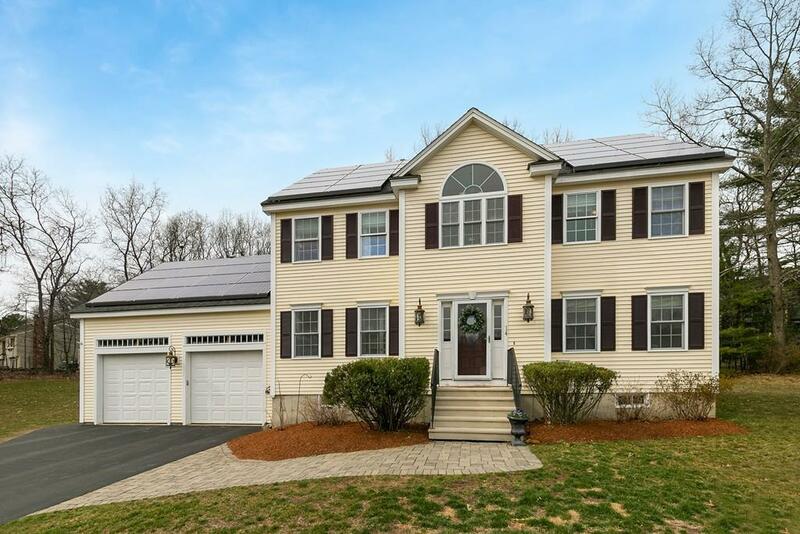 This home has granite counters, solar features, a finished basement, and an expansive backyard! The first things you'll notice inside are the gleaming hardwood floors and modern floorplan. This fabulous floorplan gives distinction for each room yet still allows the open flow from room to room to create a modern aesthetic while maintaining a classic charm. In the kitchen, you'll see the wonderful stainless steel appliances and a walk-in pantry, and being connected to the kitchen will make entertaining a breeze. The first floor even has enough space for a formal office! Upstairs you'll find a spectacular master suite and three other spacious bedrooms. The second floor also offers a laundry hookup! This master suite will be your new oasis- with a large soaker tub and walk-in closet this suite has it all! The finished basement is a great flex area- perfect for a media room/playroom/gym or whatever else you can dream of!